On April 19th, 1979 three seasoned musicians got together for the first and only time at the NDR broadcasting hall in Hamburg, Germany in what was to become a memorable encounter. 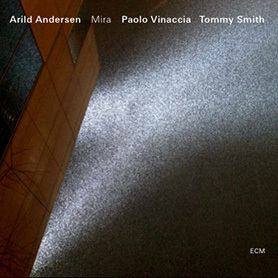 Along with Albert Mangelsdorff the Norwegian contrabass player Arild Andersen and Swiss drummer Pierre Favre played a concert, that distinguished itself through an unparralled level of spontaneity. That control over the music never got lost in the process, that moreover perfectly shaped pieces arised from petite motifs in free improvisation turned this concert into a highly extraordinary event. 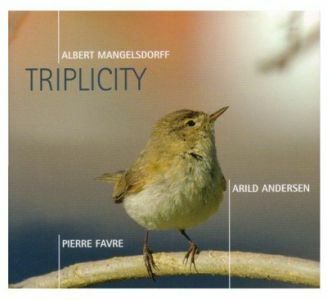 Albert Mangelsdorff has been quoted as maintaining that «this ist the most thrilling trio recording» of his entire career. Truly a remarkable statement when one considers the timeless milestones his history has to offer. No. 6 in the German Jazz Charts!